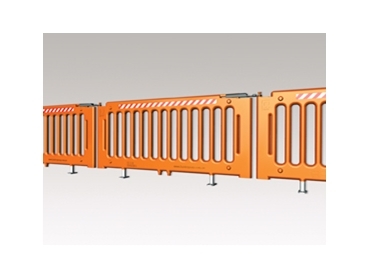 Barrier Group offer pedestrian safety barriers, known as Post-Q, which provide impact protection against low-speed manoeuvring vehicles. Post Q forklift and pedestrian safety barriers are ideal for farms and dairies. They are non-conductive, corrosion and abrasion resistant and can be used indoors and outdoors. They are simple to install and offer design flexibility. These pedestrian barriers have strong galvanised posts and moulded polyethylene panels with solid colours. They are also highly visible, won’t fade, rot, rust or crack and are almost totally maintenance free.